With Sauce you’re in very safe, very skilled hands as our professional PR people, with proven track records, work on each and every ingredient of your project – from concept to completion. Whether we’re planning your PR strategy, organising your conference, writing your media release, communicating in your marketplace, or sending you a simple progress update….you can expect the very best Sauce, every single time. A seasoned rural and agriculture communications all-rounder with a wealth of policy development experience, there’s no going past Dee. 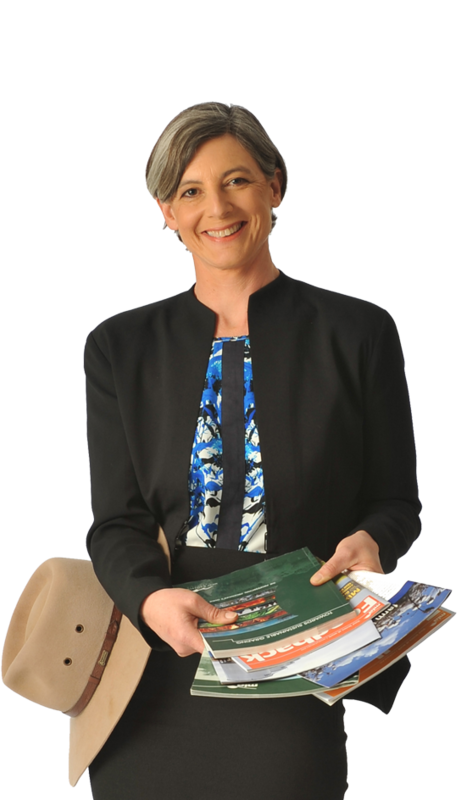 Her track record includes senior positions such as Manager Government Relations at Austrade, Director Rural Affairs at NSW Farmers’ Association and Senior Consultant at Octo Consulting. Dee has managed stakeholder relations at the most senior of levels, with responsibility for consultation processes on a wide range of issues, from telecommunications and regional development, to rural health and drought relief. Praised for her ability to adapt to any organisation, Dee’s excellent writing skills combined with her analytical skills means she presents ideas and issues in a clear and engaging way. Prior to joining Sauce, Dee was the brains behind the development of the Youthlink group within the NSW Farmers’ Association and the first Young Farmers Forum, which was designed to engage young farmers in the policy making process. These initial forums were the catalyst for other national forums, local groups and policies relating to young people in agriculture. A perfect fit for Sauce, Dee was raised on a property in western New South Wales and has lived in the country most her life, developing a close affinity with the land and a love of agriculture. So much so, Dee and her husband purchased a Riverina property, and today run a grazing operation to complement their off-farm work. Dee was all set to study art history and become a teacher after leaving high school until a chance conversation on the train home from boarding school made her change to an agricultural economics degree – something she had previously never heard of. A change in direction that was meant to be, as it led Dee to a career she loves and led us to Dee! Dee played an invaluable role in helping a government client promote important new research to the agricultural industry. She successfully translated the research into language and platforms that resonated with people interested in the future of agriculture and rural communities, including industry, policy-makers, producers and community members. Dee exceeded all the client’s expectations, while making a positive contribution to rural Australia in the process. At Sauce, we call that a win-win!